Ross Ian Burgess, 39, Wondai; Ross William Clampit, 51, Kingaroy; Michael Keith Andersen, 39, Wondai; Adam Leo Warner, 39; Tingoora; Steven John Anderson, 37, Wondai; and William Fitimaleula Perese, 39, Tingoora; entered no pleas and were remanded in custody. Burgess faces 89 charges of supplying dangerous drugs, plus single charges of trafficking and possessing something used in the commission of a crime. Clampit faces 33 charges of supply plus one each of trafficking and possessing something used in the commission of a crime. Andersen faces seven charges of supply, two of possessing something used in the commission of a crime, two of unlawfully supplying a weapon, two of drug possession, one of trafficking and one of possessing a restricted item. Warner faces 23 charges of supply and one each of trafficking, possessing drug utensils, drug possession, possessing something used in the commission of a crime, and possessing property obtained from supplying or trafficking. Anderson faces 120 charges of supply, two of possessing drug utensils, two of unlawfully possessing weapons, two of unlawfully supplying weapons, and one each of trafficking, drug possession, producing dangerous drugs, possessing explosives, possessing something used in the commission of a crime, possessing property suspected of having been used in connection with the commission of a drug offence, and possessing property obtained from supplying or trafficking. Perese faces 44 charges of supply, six of drug possession, four of possessing drug utensils, four of possessing something used in the commission of a crime, two of possessing property obtained from supplying or trafficking, and one of trafficking. Solicitors for the six men did not apply for bail but indicated that bail applications may be made before their next scheduled court appearance. 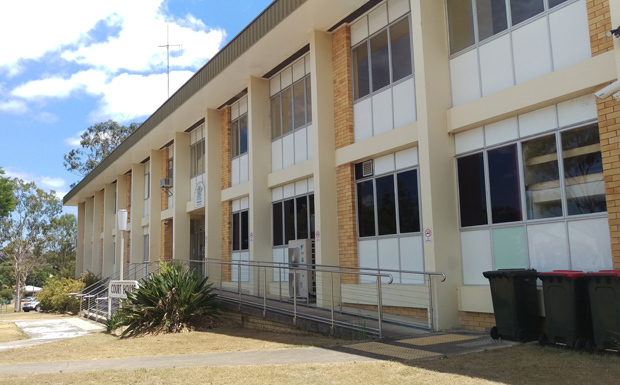 Magistrate Louisa Pink adjourned the matters for mention in Kingaroy Magistrates Court on May 8. A seventh man charged after the raids was granted police bail to appear in court at a later date.